Sarah (Xioahua) Zhao has substantial experience in international transactions with an emphasis on technology transactions, data protection, privacy and cybersecurity from both a regulatory and corporate perspective. 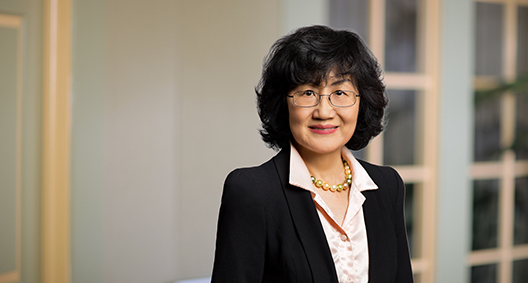 Her counsel includes advising major companies on China’s cybersecurity, privacy and data protection legal environment, establishing data protection policies and compliance programs, conducting due diligence on data security for mergers and acquisitions, handling data breaches, and advising on compliance matters related to existing rules and regulations. Her technical understanding facilitates first-class guidance to clients in a range of industries, including information technology, energy, financial services, insurance, aviation, transportation, agriculture, manufacturing, entertainment and sports. Sarah also has a background in cross-border corporate and regulatory transactions -- including joint ventures, mergers and acquisitions, project financing and corporate formation -- and her arbitration and litigation skills have assisted Chinese clients in the United States, as well as U.S. companies in China. Highlighting the cross-practice utility of the firm’s privacy and data protection team, Sarah brings a unique blend of in-depth knowledge of both the U.S. and Chinese regulatory landscapes. Her comprehension of different legal systems and cultural subtleties, combined with her fluent Chinese language capability, ensures accurate internal and external communications within a global setting. For more than 20 years, she has advised private companies, trade associations, and government officials on foreign investment in China, the United States, Europe and some Asian countries. She has also advocated for enhanced business environments for foreign companies in China. During the course of her career, Sarah’s efforts have resulted in several Chinese internet and wireless rules being either amended or abolished. Before her legal career, Sarah was an accomplished journalist. She has also worked at the Ministry of Industry and Information Technology of China (MIIT).